Jennifer received this hand-me-down from her father-in-law, and wanted to figure out a way that she could wear it. She loved the fabric, but the shape was definitely not flattering on her, and it needed some jazzing up. 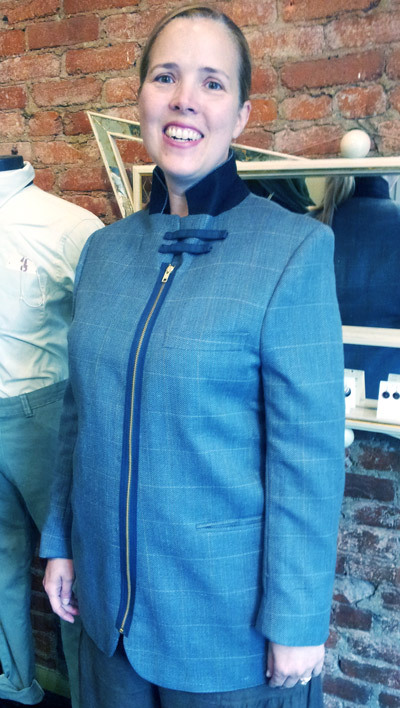 She really liked my zipper jacket design, so we decided to convert this old blazer. …OR snap around the collar (when the collar flips down). 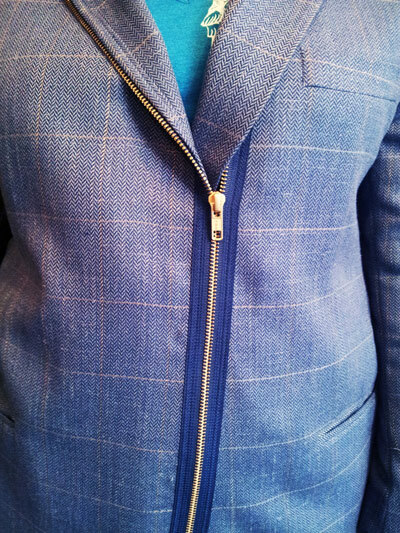 Now the jacket is ready to go with a modern twist! She can either wear the piece as a cool blazer/layering piece or as outerwear for the Fall and Spring (or winter with a warm wool pendleton under it). 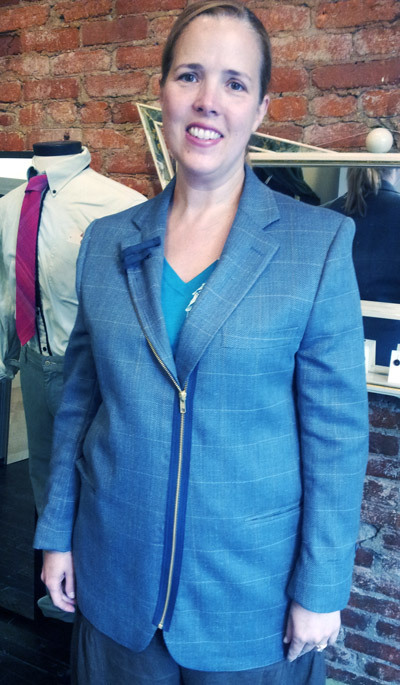 Do you have an old blazer you want to convert into one of my zipper jacket designs? 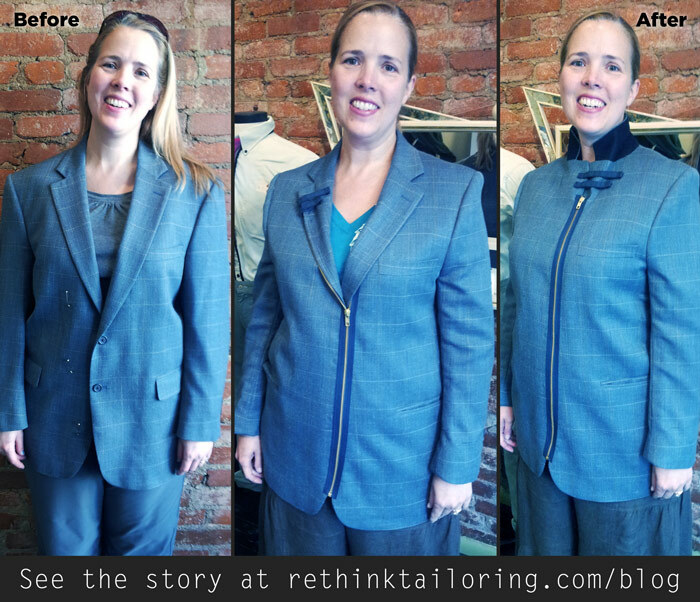 Email me about it at kristen@rethinktailoring.com and we can brainstorm ideas!